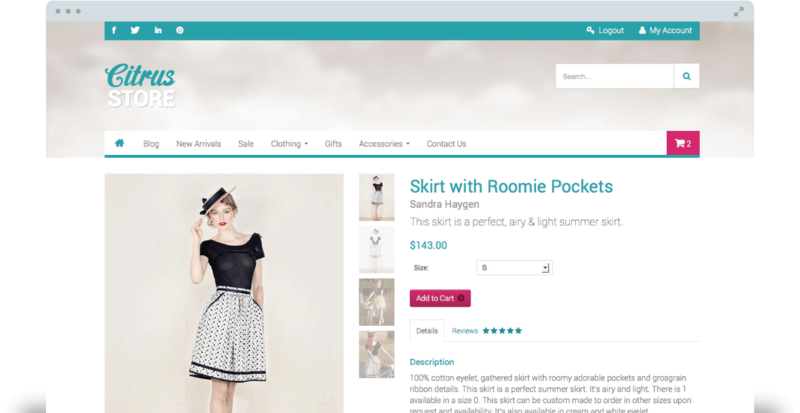 A few months ago we decided to take the plunge and build our very own ecommerce theme. Anyone familiar with our work lately will not be surprised to hear that the ecommerce platform that we have selected for our theme is LemonStand – the best online store system on the market, bar none. So after beavering away for months we are finally very proud to say that the totally awesome Citrus Store theme has now been released into the wild and is available on the LemonStand Marketplace. And we’ve thought about the support side of things too and have created docs, issue log and even Citrus Store’s very own wiki. And we didn’t even pay them to do so – honest! I’d like to take this opportunity to thank the team for the amazing effort in creating this theme in particular Laura, Andrew and Ian whose efforts early on in the project were invaluable and instrumental in its success. Well done guys.